One ocean, one breath. 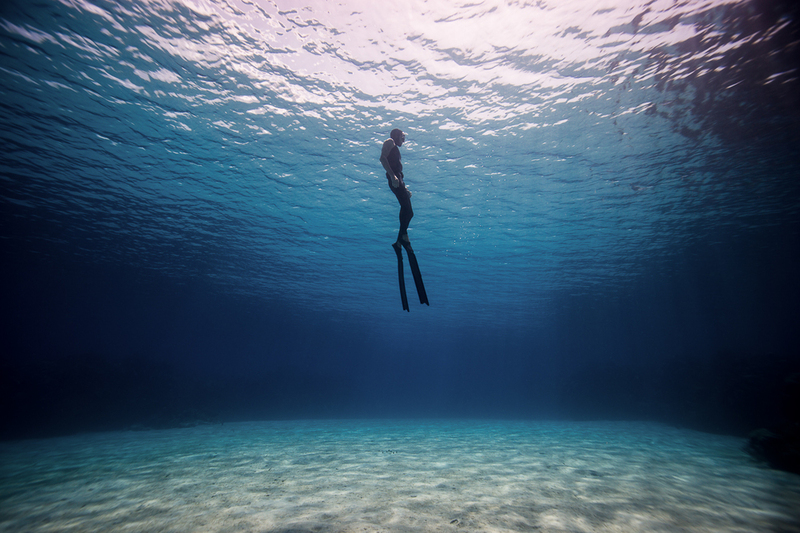 These two freedivers travel the world, taking a single gulp of air before exploring the sea, creating art amidst sharks, caves, light beams, and everything in-between. While the beauty of their pictures triumphs, the skill and dedication these two exhibit to create their artwork is some of the most tedious imaginable. Christina, 35, Australian and Eusebio, 45, Spanish. We have been based on the small tropical island of Koh Tao, Thailand for over 12 years. We shoot digital underwater photography and the water is our canvas. What we love about the ocean is that she is forever fluid and no matter how much we pre-plan or visualize an image or series of images, we must be flexible and go with the flow of varying light conditions, water visibility, currents and of course when shooting marine life we must be prepared to be spontaneous. I think we are always trying to express through photography the surreal sensations that we feel as freedivers beneath the surface. We have been traveling the world over the last 8 years exploring incredible underwater destinations from the Caribbean to Asia and the Mediterranean. 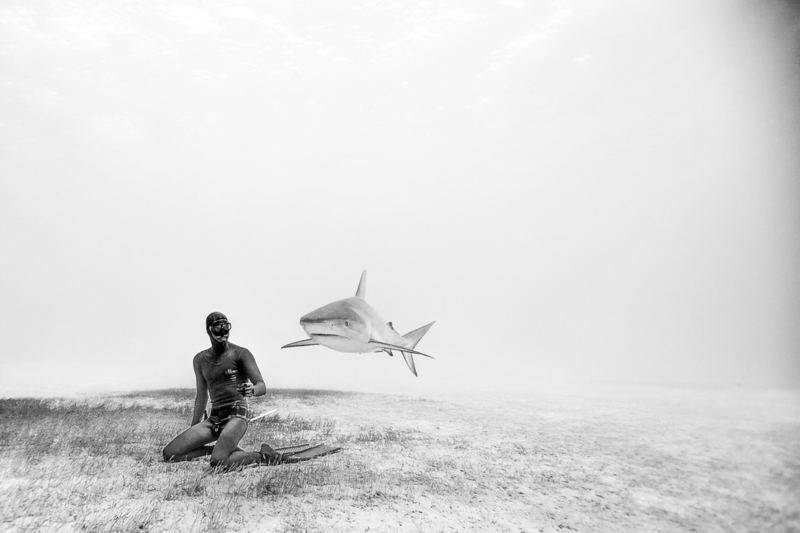 We are already accomplished freedivers and so it came naturally that we wanted to capture our experiences through photography. We are self-taught and learned entirely by trial and error. The ocean will forever be our main muse, however Eusebio and I are also influenced by each other as we discover new techniques, ideas and experiences together. 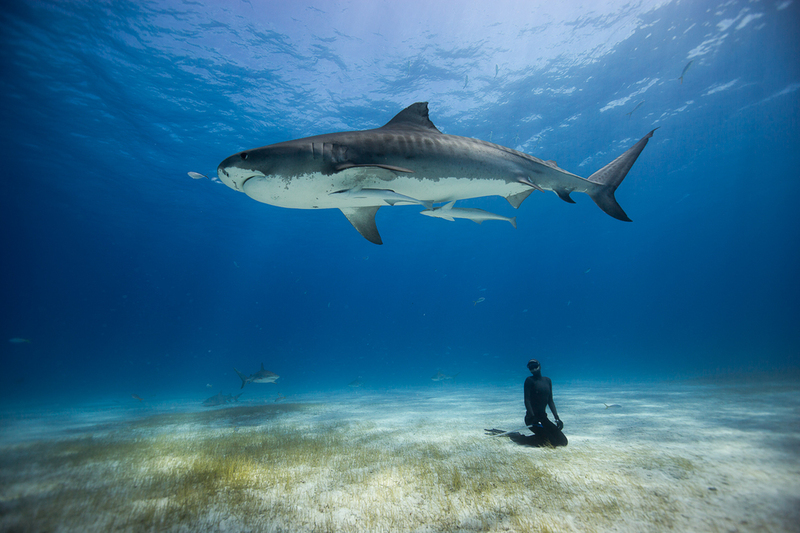 To date shooting with the tiger sharks of the Bahamas was the most exhilarating and demanding in terms of managing the ocean, the camera, the lighting and being surrounded by 14-foot tigers. You have to be balancing so many variables as well as to have a great understanding and knowledge of the sharks and the ocean. However it is this kind of experience that we find the most challenging and the most rewarding, particularly when we can exhibit our work to the public and encourage them to think differently about the beauty of our oceans. Our struggles are more specific to particular circumstances such as the frustrations of shooting in water with very bad visibility, incredibly strong currents or when we are limited by our breathhold time underwater. To continue to enjoy this passion, to share our images of the magic of the ocean as we see it through our eyes and ultimately to see where the adventures flow!